TVNZ 2 is dropping re-runs of The Simpsons and the latest season of Little Big Shots for Friday night movies. This follows two weeks of low ratings for Little Big Shots in its new 8.00 Friday slot. 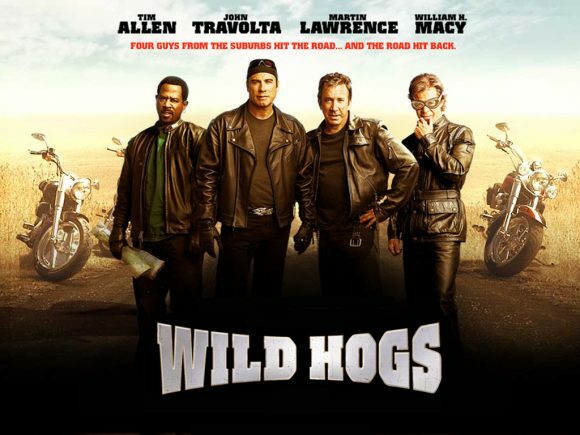 The latest revamp of the network’s light-ent line-up will take effect from September 28, when the movie Wild Hogs will replace them from 7.30. This will push back the start time of the 9.00 movie Focus to 9.30. Friday’s episode of The Simpsons averaged 4.2% of 25-54 year-olds and 3.7% of 18-49 year-olds. In the same core demos, lead-out Little Big Shots averaged 3.2% of 25-54 and 2.8% of 18-49. Both lost to TVNZ 1’s MasterChef Australia and while The Simpsons out-rated Three’s The Project, LBS lost to a re-run of The Graham Norton Show. And Car Crash TV at 9.00 finished well behind Three’s 7 Days and, in the 25-54 demo, TVNZ 1’s A Place to Call Home. TVNZ 2 has struggled all year to compete effectively against Three on Friday nights, with The New Legends of Monkey being its most spectacular failure. Next month it will try to reverse this by airing Doctor Who in the 7.30 Friday slot from October 12 ahead of 8.30 movies. But given the sci-fi show will be available for streaming several days earlier on TVNZ OnDemand, it’s unlikely to rate higher than what new episodes of The Simpsons would have averaged. So by the time we get to the end of September TV2 will have 7 movies across the week in primetime? Fridays – 2 movies, Saturdays – 2, Sundays – 2 and Mondays 1? Is it a hollowing out or is it just the only thing that makes money is cheap old movie content with decent ratings cf expensive new content that doesn’t pull in the viewers? Actually, it will be eight — there also will be The Hangover movies on Wednesday nights. Despite being able to view them on multiple platforms, movies remain a FTA staple and a useful way to right a listing ship. They can plug temporary holes in the schedule until new series start, as The Hangover movies will do until new seasons of Young Sheldon and The Big Bang Theory launch, and are more commonly used at this time of the year when the networks have spent many of their biggest guns. Sorry Philip but c50% of a primetime schedule as movies is not plugging temporary holes in a schedule. It’s showing a systemic failure of new content in terms of attracting viewers. At this rate it won’t be long until we see am AMC-style outcome with movies at 8.30 every night. I disagree, Trevor – I think Friday night is great – it’s a night families can watch together. Also, unlike Prime, if you can’t wait TVNZ are making it available immediately on TVNZ OnDemand as soon as it has gone to air in the UK – so it’s a win win for fans new and old alike! Personally, I love the idea of date night with fish and chips with The Doctor! Fish fingers and custard, Tony. And no sign of season 30 of the The Simpsons. It’s a huge milestone and I’ll be downloading it to not miss out. I don’t understand TVNZ 2’s strategy with new seasons of this show. It messed about with its Sunday scheduling, then just as it hit ratings paydirt with new eps in a 7.30 Friday slot, where it caught up to the US, it’s about to lag behind again because of Doctor Who taking over the slot from next month for 11 weeks. Expect The Simpsons to resume mid-December. But chances are they will be re-runs and TVNZ 2 will hold S30 until February. We need to replace everything on Friday nights with smarter shows. Those leading into Doctor Who need to be fresher. Agreed with the revamp for Fridays, but Dr Who needs to be way earlier in the week … errr … like Monday! Probably a bit too niche for earlier in the week. Although I’m surprised they didn’t go 8:30 Mondays.